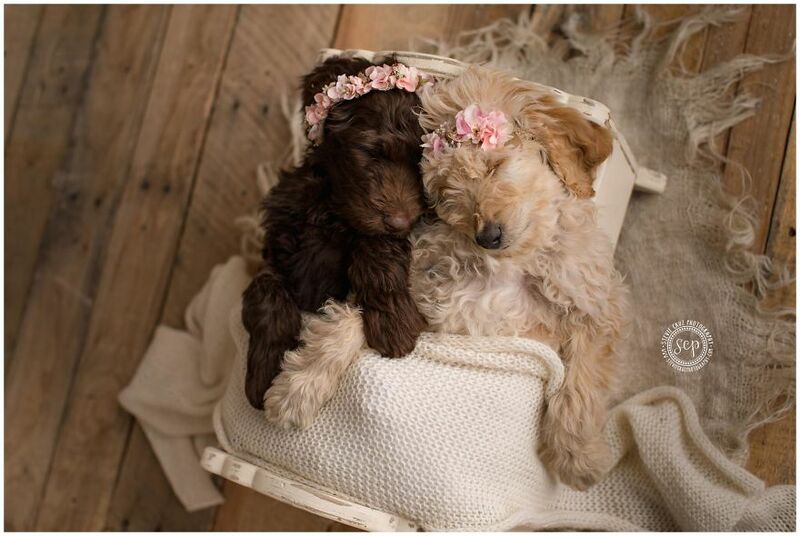 Our family wanted a newborn but dad wouldn’t agree to a baby so mom opted for puppy goldendoodle dogs. Aren’t they adorable? 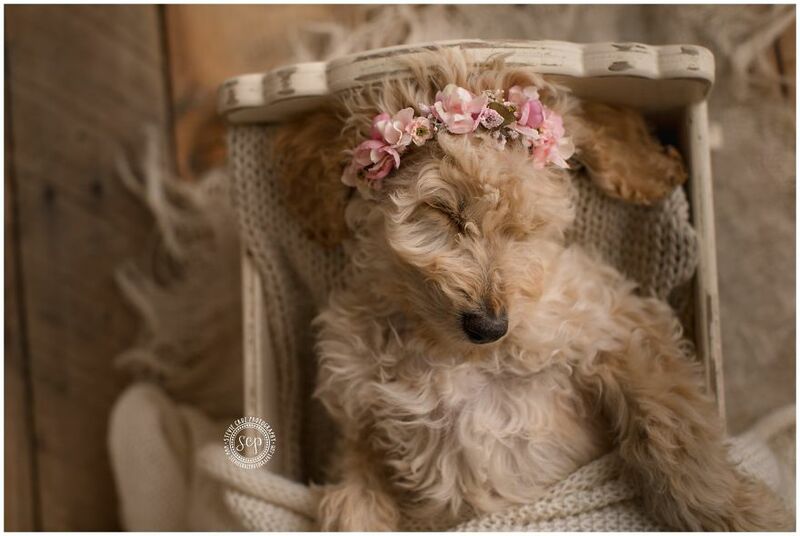 These puppies ‘human mom’ is a newborn photographer so she felt it only natural to photograph the puppies like human babies. 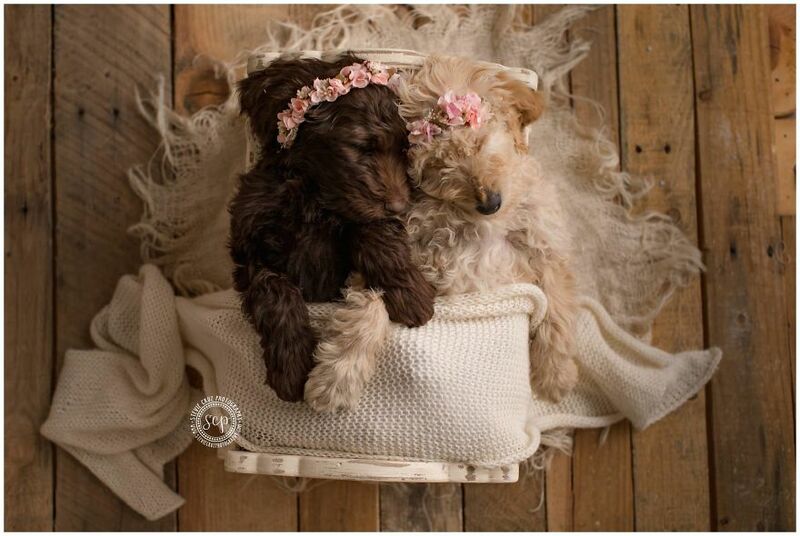 You will see that the puppies slept well together in their newborn cradle and posed for pictures. Puppies are like newborn babies, they sleep a lot… These puppies were played with for an hour before their sessions by their human siblings. My kids love to play with the puppies and how can you not when they are this cute? Scroll to the bottom to see their sibling pictures with the puppies. Meet Nalu and her ‘unnamed’ sister -Name still undecided, what do you think it should be? 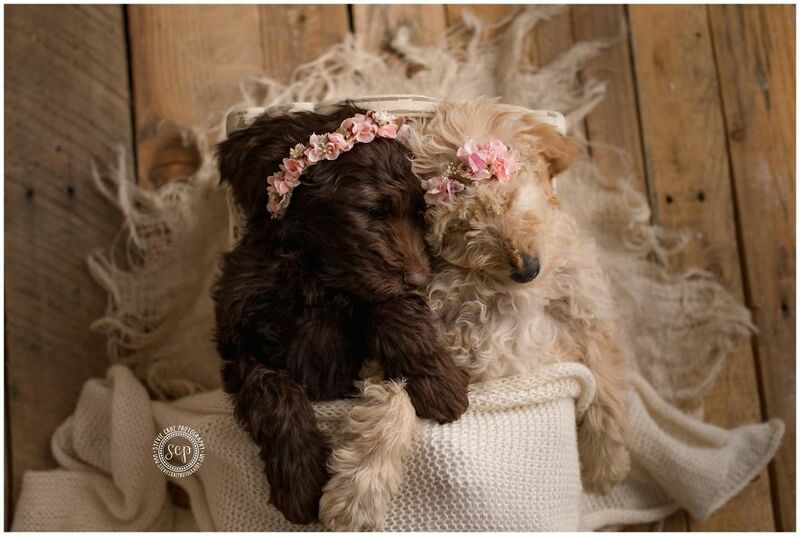 Puppy pictures were captured when the 2 babies were 9 weeks old. This is a great age to photograph puppies. 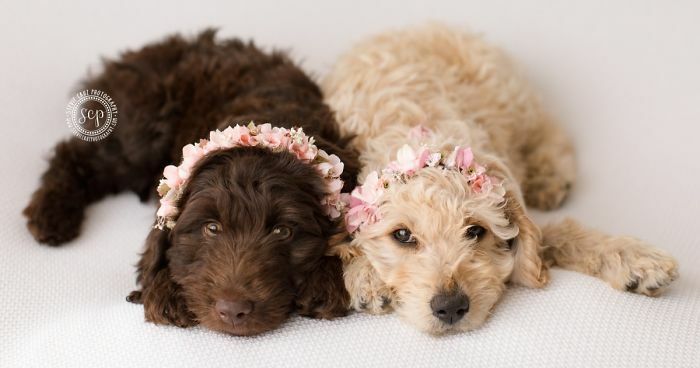 The Goldendoodle is a cross-breed dog, which is obtained by breeding a Golden Retriever with a Poodle. The name, which alters “poodle” to “doodle” by analogy to was coined in 1992.